What is Epic Games up to with the latest planned addition to their most popular game? What is the mysterious Jetpack about, and how could it change Fortnite? 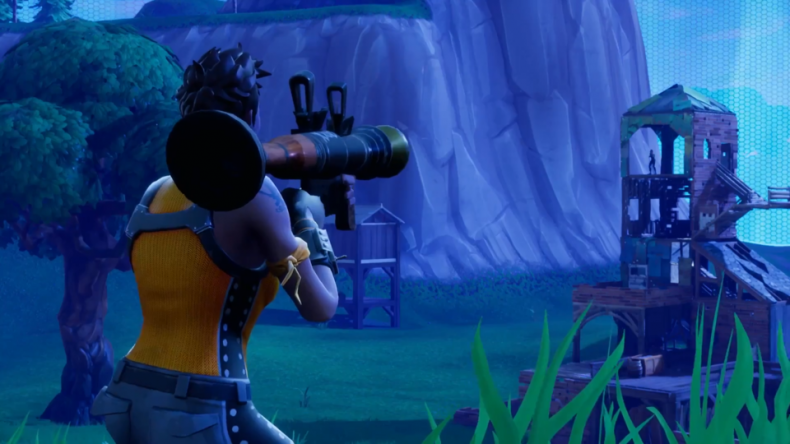 It was a couple weeks ago when the “New Updates” screen of Fortnite: Battle Royale suggested a jetpack item would be added to the game soon. “Take the fight to all new heights!” it bragged. We thought we would get more information today, but instead Epic announced a delay for the item. Indeed, the Jetpack was planned for today, but instead players will find a hunting rifle. Which is fine, but it doesn’t let you fly. Currently there are only two opportunities to catch air in the game: when you first parachute in, which doesn’t count, or when you find a jump pad. It remains to be seen if the Jetpack actually grants the ability of flight, and if so, how limited it would be. Allowing players to fly would change a lot of strategies. Building a wall would no longer keep you safe, and you would have to keep a constant lookout in all directions, including the Z axis. Perhaps the change would be so drastic that having the Jetpack would become the only way to win — which would be bad. That’s why our best theory is that it’s limited in some fashion. The Jetpack could show up as early as next week, depending on when Epic fixes this “design issue.” We’ll say more when it turns up.